IBM has unveiled a fresh crop of apps resulting from the partnership it forged with Apple last year. Announced at Mobile World Congress in Barcelona, the three new mobile apps for iOS target the banking, retail, and airline industries and join the 10 industry-specific IBM MobileFirst apps that arrived in December. Advisor Alerts, for example, is designed for enterprises in banking and financial services and aims to help financial professionals prioritize client-related tasks while away from the office. Powered by customized analytics, the app includes a personalized dashboard that displays recommended next steps and alerts about portfolio-affecting events; it also provides a platform for communication with colleagues back at the office. Dynamic Buy, meanwhile, seeks to help retail buyers make better buying decisions by offering seasonal recommendations and real-time product-performance information. 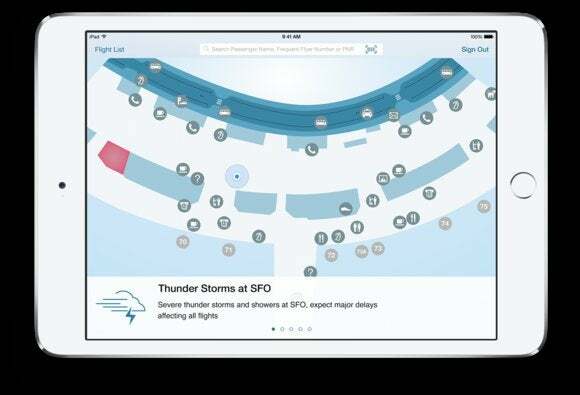 Finally, Passenger Care targets the airline industry with an app that empowers customer service agents to address traveler needs from anywhere, leading to a smoother, more personalized experience for passengers while speeding up check-in and easing airport congestion, IBM said. All three apps are tailored for iPhone and iPad and are delivered in a secure environment. Incorporating analytics and linked to core enterprise processes, they can be customized for any organization and managed via IBM’s cloud services for iOS devices. IBM MobileFirst for iOS apps are now available for companies in banking, retail, insurance, financial services, telecommunications, energy and utilities, and for governments and airlines. Air Canada, American Eagle Outfitters, Banorte, Boots UK, Citi, and Sprint are among the more than 50 companies that have adopted the apps so far. Though the partnership between Apple and IBM was widely viewed with surprise when first announced, both companies stand to gain considerably from it. Most notably, Apple gains easier access to enterprises than it has had in the past, and IBM can tap Apple’s expertise to expand its mobile footprint. In fact, the two companies are not as incompatible as they may seem, said Roger Kay, principal analyst at Endpoint Technologies Associates.